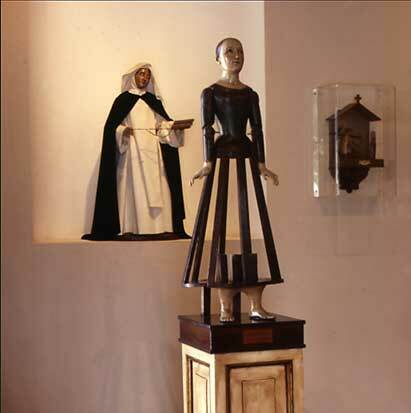 Wood carvings of religious figures in the Porta Coeli Museum, San German. 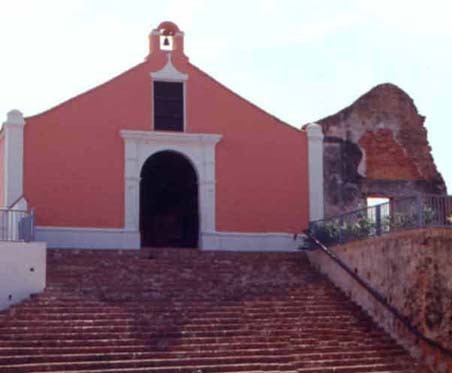 Porta Coeli is a small, beautifully restored tiny Catholic church from the 1600's. Recently restored and converted into a museum, it features carved religious figures from Puerto Rico, Spain and other Latin countries. A very worthy short visit, if you're anywhere near San German. It's right on the main Plaza. There are also some interesting examples of architecture and architectural details on and near the plaza. There is a parador 'Oasis' in town, San German is on the way to Parguera and Cabo Rojo. On the south west corner of Puerto Rico.